The thermal, noise and dust barrier provided by our PVC strip curtains makes them a cost effective solution to multiple problems in the workplace. Each curtain is tailor made to purpose, in order to be suitable for a wide range of installations, from small interior openings to large exterior doorways and facilitate ease of access for both pedestrian and vehicle traffic. 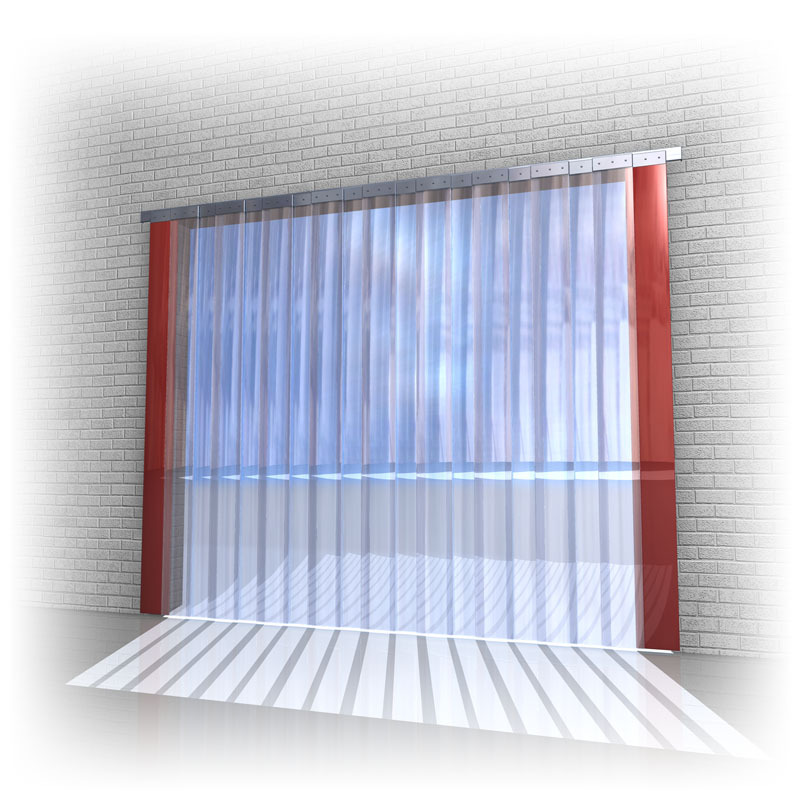 Aluminium, galvanised steel, or stainless steel tracks are available for individual strips of PVC to be hung from to form the easy to maintain curtain. This simple design is an essential part of what enables the product to provide great value for money.